An Grianán Theatre is distinctive amongst regional venues for its success as a theatre producer. We have staged many full scale productions over the years including works by Brian Friel, Martin McDonagh and John B Keane. Creative partners to date have included Yew Tree Theatre Company, Cork Opera House, Pavilion Theatre, Civic Theatre and The Lyric, Belfast. In 2015 we will be doing our second national tour of Frank Pig Says Hello by Patrick McCabe which we toured to great success in autumn 2014. We’ll also be reviving our Earagail Festival hit Fiesta for a short run in November 2015. In addition we have undertaken a number of community arts projects including large scale productions of A Midsummer Night’s Dream, Thomas Kilroy’s The O’Neill and Brian Friel’s The Aristocrats which afforded local amateur and semi-professional performers the opportunity to work alongside theatre professionals. On a more intimate scale we have facilitated smaller scale dramas performed by local theatre practioners.. These have included Brian Friel’s Molly Sweeney and Bill C Davis’ Mass Appeal. We have also taken a number of projects out into the local community delivering workshops and performances from performers such as Little John Nee and the team behind Bassam. We are also active members of the NASC and NOMAD theatre networks, a collective of regional theatres active in promoting quality touring productions. 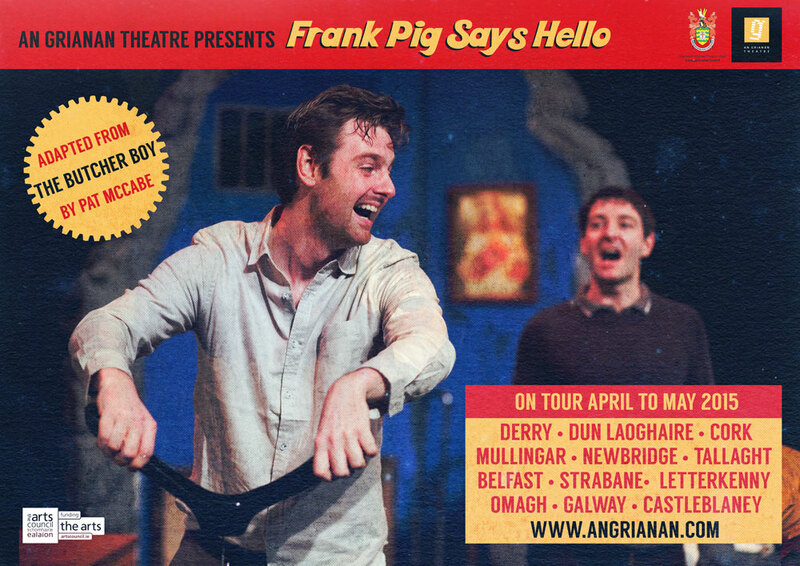 Pat McCabe’s Frank Pig Says Hello on tour 2015. 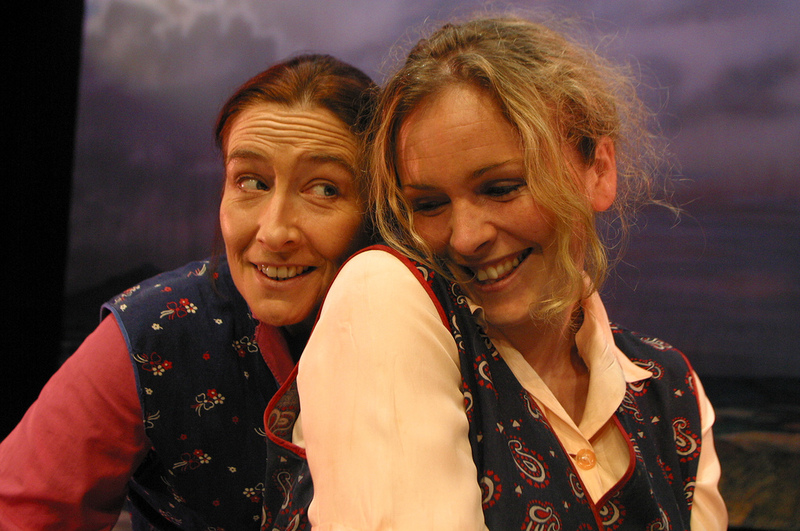 (left to right) Eleanor Methven as Maggie and Janet Moran as Rose in An Grianán Theatre’s 2002 production of Brian Friel’s Dancing at Lughnasa. Eleanor Methven won the Irish Times Irish Theatre Award for Best Actress for this production. Photo by Declan Doherty.All rights reserved. Do not reproduce without permission. The empowering story of a woman who decides to take back control in an ageist world.